Looks good doesn't it" That is one of the new frozen veggie bowls from Bird's Eye. They are ready in a flash from freezer to Microwave to your bowl in a few minutes. A healthy plant-based meal that is healthy, balanced, free from artificial additives, preservatives or colours and most importantly really tasty. 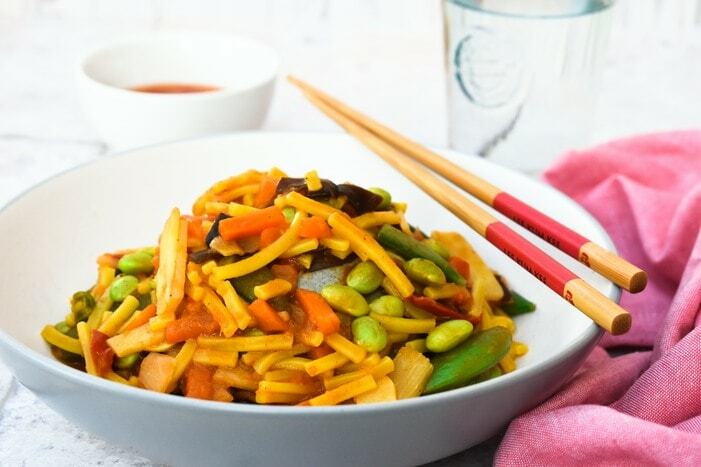 Each of these delicious veggie bowls count towards two of your five-a-day, are low in saturated fat, contain up to 19g of plant protein and is ready in 7 minutes or less. Birds Eyes Veggie Bowls are available now in Tesco and Morrisons stores and online from Ocado forjust £2.89. I wasn't sure how well this one would work as a risotto is usually slow cooked and creamy. Even though this was microwave from frozen, it was still creamy and had a really generous amount of courgette, broccoli, edamame beans and lentils. Let's face it you don't always get a lot of veg in these type of dishes, but Birds Eye packed this risotto with vegetables. The rice still had a pleasing firmness too, but not too much bite. VEGAN GREY AREAS // is it ever ethical to consume animal products"